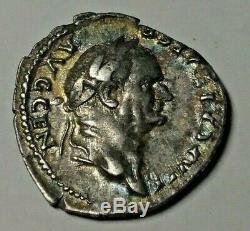 Obverse: IMP CAES VESP AVG CEN (laureate head right). 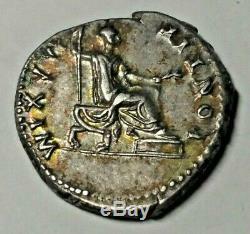 Reverse: PONTIF MAXIM (Vespasian seated left). Obverse lettering is CEN instead of CENS, as commonly seen. The item "73 AD Rome Vespasian AR Denarius FDC GEM" is in sale since Sunday, March 10, 2019. This item is in the category "Coins & Paper Money\Coins\ Ancient\Other Ancient Coins". The seller is "coinguy22" and is located in Markham, Ontario. This item can be shipped worldwide.